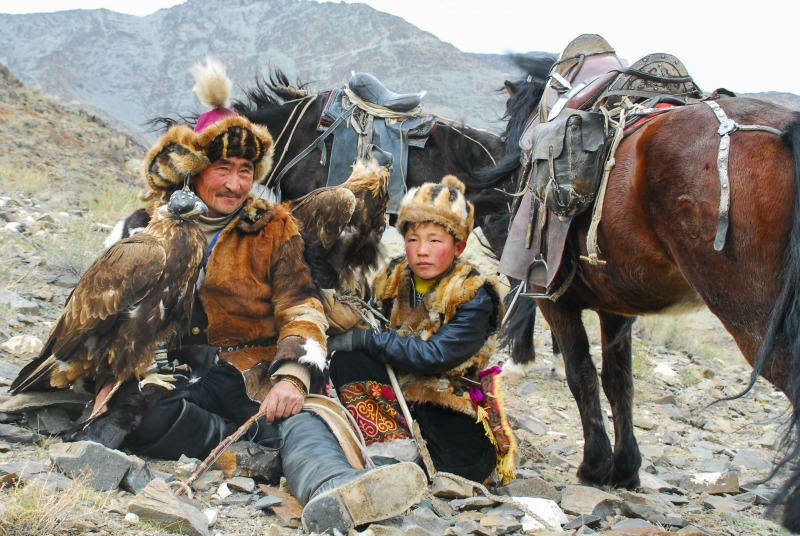 Nomadic lifestyles, ancient traditions, untamed landscapes, and horses for transport. 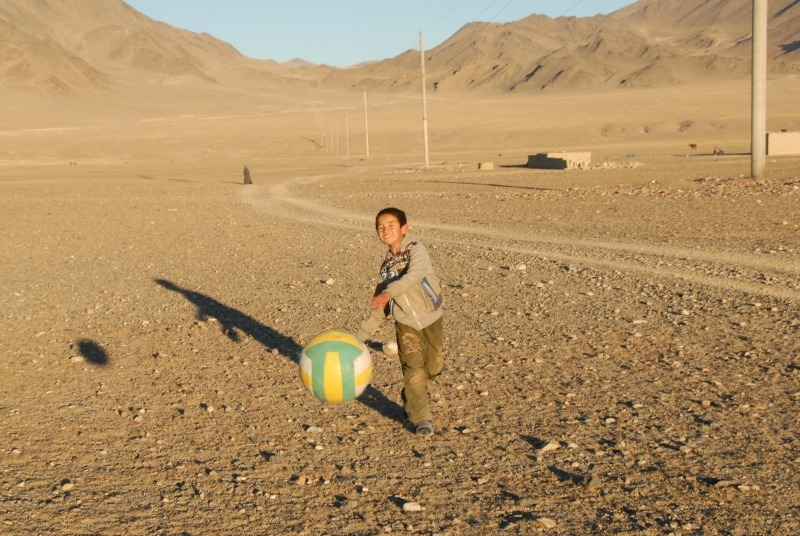 Mongolia is about as far off the beaten track as it gets. And this is exactly why this country had long been on our bucket list, and why it should be on yours, too. In addition to the fact that its native culture is in danger of disappearing. Recently my partner Adam and I made our way through some of Mongolia's top attractions. 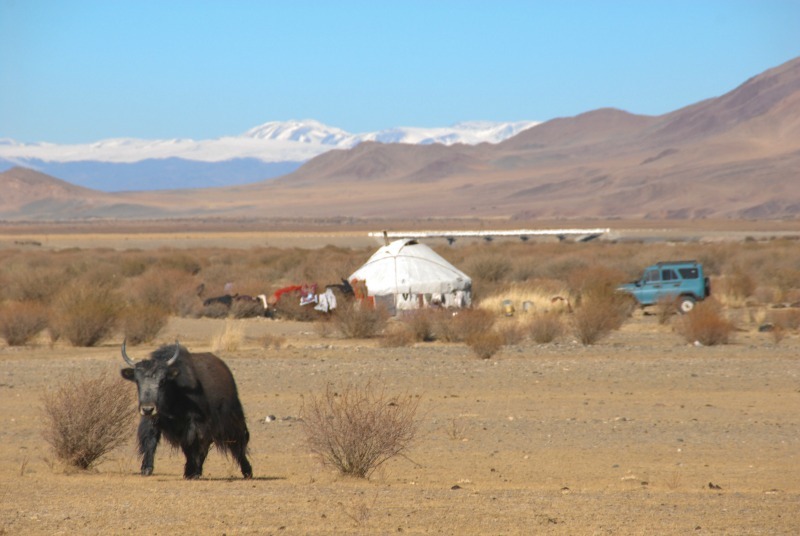 Our adventure took us to the Gobi Desert, to a homestay with a nomadic family, and to the famed Golden Eagle Festival. We highly recommend visiting, and this is how we did it! You can craft a similair itinerary, or if that sounds a bit daunting check out the suggested guided tours to Mongolia, listed below! 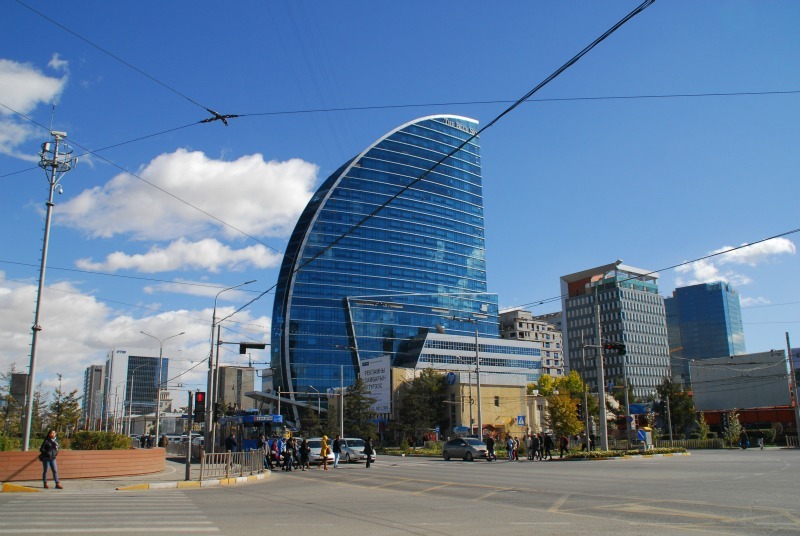 While some see Mongolia's capital as a scar on the beautiful landscape, the city is not without its charm. And, as most travelers in Mongolia will likely pass through the city a number of times, it's worth seeing the bright side- it may not be the world's most exciting city, but it's a good chance to catch up on luxuries like hot showers, wifi, and non-Mongolian food, all of which you may be longing for after roughing it in the remote regions. 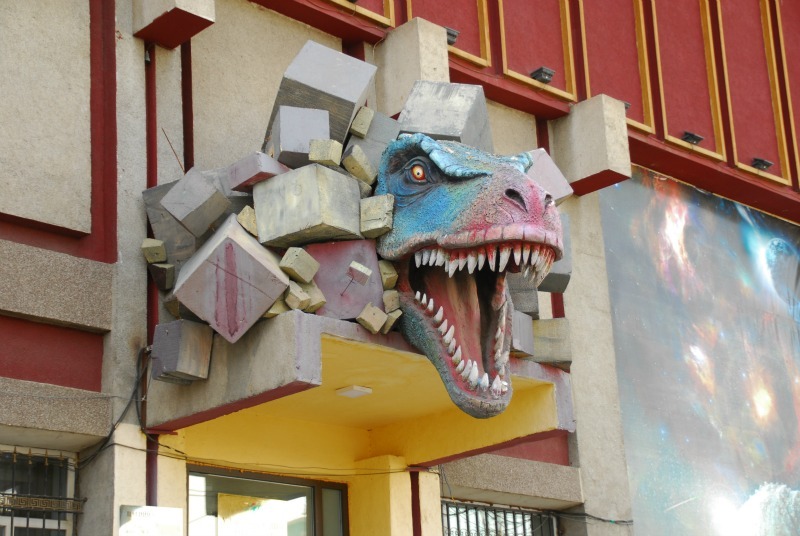 During our first of many pitstops in Ulaanbaator (or UB, as it's commonly known), my partner, Adam, and I read a short list of city sights and attractions, and agreed that the top attraction was the Dinosaur Museum. We geeked out over a giant Tarbosaurus Baatar skeleton and made it our mission to uncover an undiscovered dino bones when we visited the Gobi desert (sorry to spoil the ending, but we failed). We had planned the dates of our trip around the Golden Eagle Festival and had booked a domestic flight to western Monoglia. Flights to Ulgii, where the festival was being held, were booked out (as usual, we had left preparations until the last minute), so we flew to Khovd. The three hour flight took us over some incredible desert and mountain scenery, and we both grew excited for the destination that lay ahead. Luckily, we met a tour group on the flight who offered us a lift. Joining them in a hilariously decorated soviet van (leopard print seat covers and frilly curtains), we settled in for the six hour trip. The view was amazing. Vast desert stretched before us, punctuated by massive mountains, herds of camels, and an occasional ger (a traditional yurt). The Golden Eagle Festival, where nomadic hunters compete to showcase both their skills and those of their magnificent hunting birds, was nothing short of spectacular. 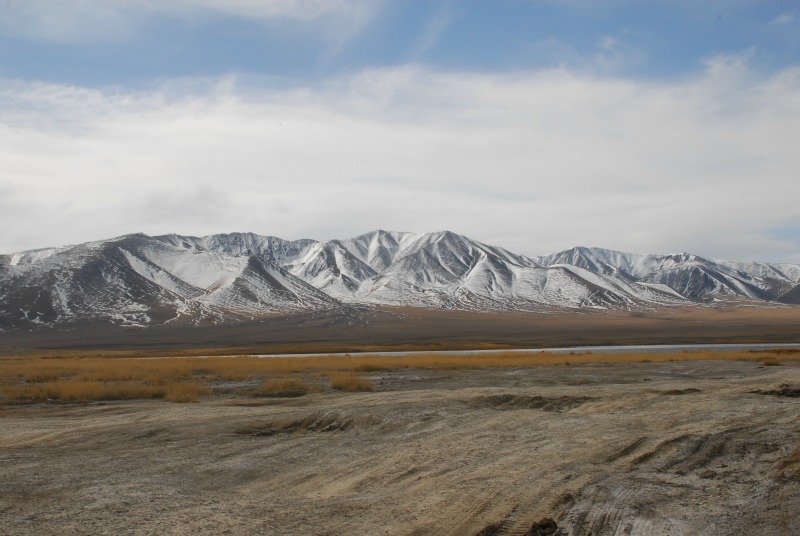 The festival is held each year on the first weekend of October, in a remote stretch of land just outside Ulgii. Over 70 hunters compete in a variety of traditional contests, and spectators come from all over the world to watch. Keen to explore more of the western region of Mongolia, Adam and I stayed with a local guide, Baha, and her family in the village of Sagsai. Over a meal of sheep's head stew (the local speciality), we learned about the Kazakh culture of the region, which is unlike anywhere else in Mongolia. Baha arranged for us to stay with a local eagle hunter just outside of Sagsai, where we got to a homestay with a nomadic family in a ger. We joined our hosts as they trained their eagle to hunt using a piece of fur on a rope, and they then took us on a horse trek through the surrounding area. Our home stay was one of our favourite parts of the trip, and truly a must for anyone visiting Mongolia. After we said goodbye to our wonderful host family, we took a bus back to Khovd, where we stayed for a couple of days. There wasn't much to do in the city, though we did get to spend some time with a khoomi singer, who showed us the incredible feat that is Mongolian "throat singing". We had initially planned to take the bus back to UB in stages, stopping at a few cities along the way. But tickets to a destination other than the capital were impossible to find, so we gave in and decided to cover almost 1,000 miles in one long, insane journey. The trip took 40 hours, and when we finally arrived in Ulaanbaatar, we collapsed into bed, exhausted. Eventually, we recovered from the long journey, and began to look for our next outdoor adventure. We found it in the form of Terelj National Park, just a two hour bus (thankfully!) from UB. The bus dropped us inside the park at Terelj village, from where we headed back in the direction of the park entrance, walking along mountain ridges and stopping to photograph our scenic surroundings. 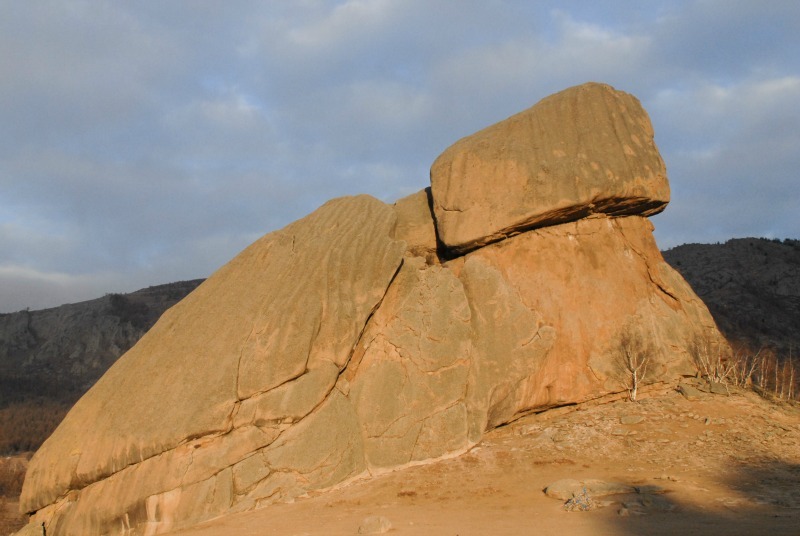 We stayed the night in a ger camp by Turtle Rock (a giant formation that really does look like a turtle! ), and woke early the next morning to trek around the nearby mountains. We then rented horses for a short trek around the area, who turned out to be far more skittish than those we'd ridden in the west. Though this was our second time riding horses here, it was still only Adam's fourth time on a horse in his life, so we were both pretty nervous when his horse took off at a run across a hill. Horses are an integral part of life in Mongolia, and almost every trip here will involve riding one, but, if you're inexperienced, take a guide and practice in an enclosed area first (don't make our mistake!). After yet another break in UB, we set off for a tour of the Gobi. Together with our guide, driver and a fun and friendly couple we'd planned the tour with, we all piled into the van and took off into the desert. For the next six days and five nights, we sat in the van through endless stretches of sand and mountains, and slept each night in gers, either in tourist camps or with families. The distances were long, but the sights were definitely worth it. 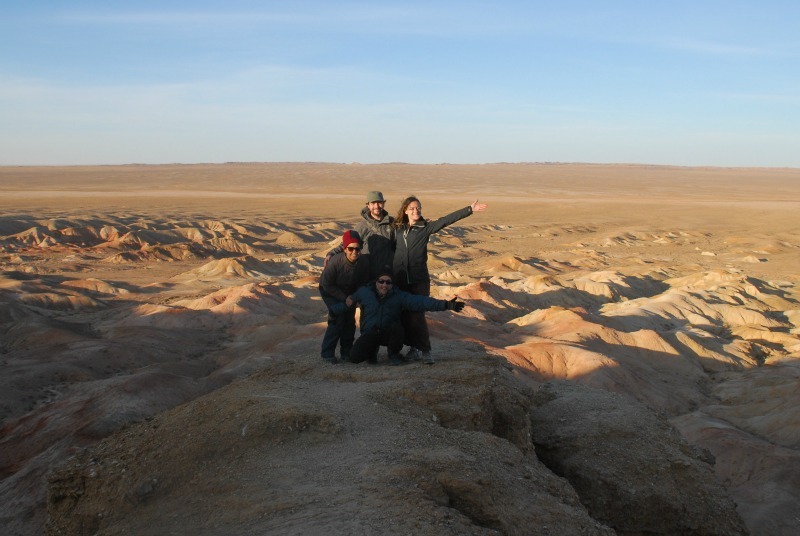 We walked through the Ice Canyon, rode camels by the Singing Dunes, clambered around the Flaming Cliffs, and explored the colorful formations of Tsagaan Suvarga. We may not have found any dinosaur bones, but our time in the Gobi was till a wonderful way to end our time in Mongolia. All images were taken by Stride Destination Expert, Ailish Casey. You can read more about her Mongolian adventure on her site Ailish in Wonderland.